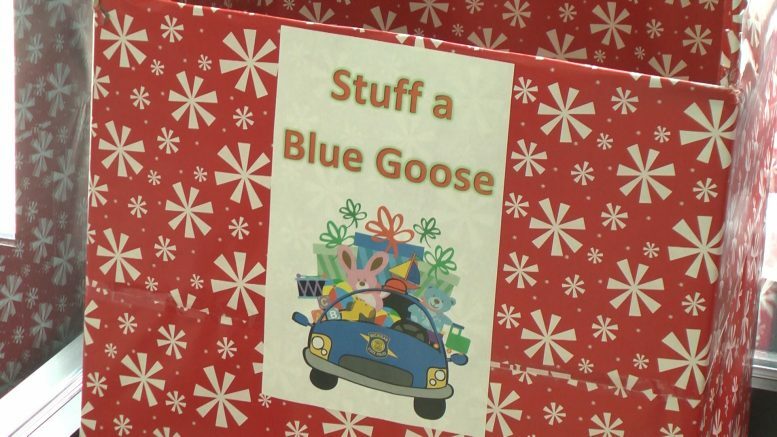 Alpena — this Saturday, folks will help Michigan State Police Troopers ‘Stuff a Blue Goose’ at various locations around town. MSP’s Alpena Post will have three blue gooses at a few locations around Alpena. The blue goose is a Michigan State Police patrol car as you can see above. Troopers will be collecting unwrapped toys and non–perishable food items over an eight hour period. The items will be donated to the Salvation Army for families in need. The non-perishable food item’s will be donated to both the Salvation Army and St. Bernard’s pantry. The goal for the post is to fill the blue goose at every location. Drop off donations in the blue goose at Neiman’s Family Market or Wal-Mart from 10:00 a.m. until 6:00 p.m. on Saturday. If you can’t make it out on Saturday, you can drop off items ahead of time at the MSP Alpena Post.